The exhibition hall in Thailand. 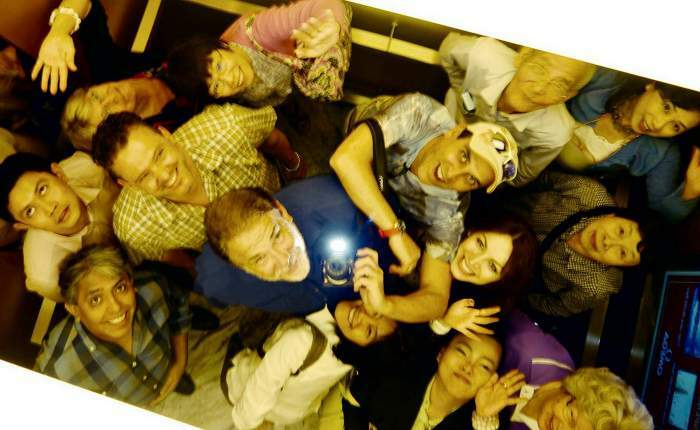 One of Paula's student in Bangkok turned out to be an Indian film star! With the winner of the competition. 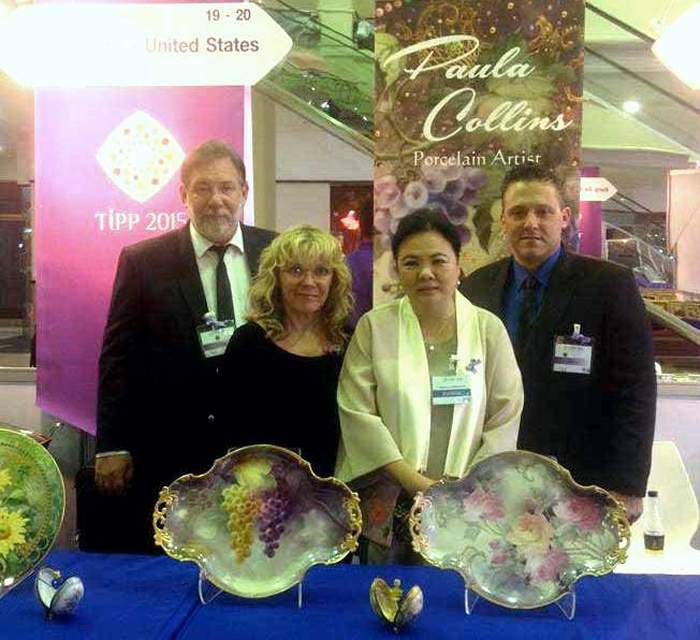 Thom Hawthorne, Paula, Chiangmai and Bill. 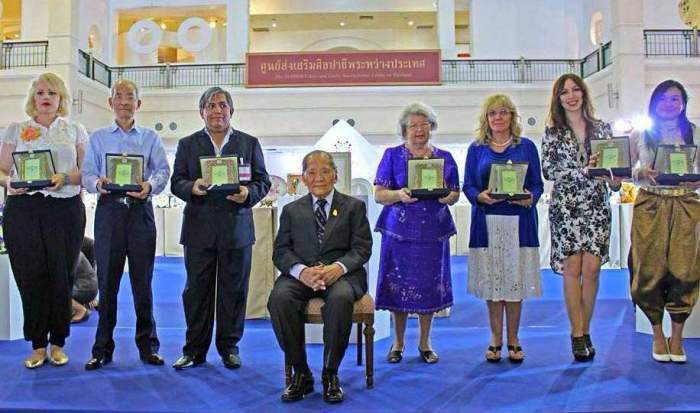 Paula (third from right) accepting honors from the aide of King Bhumibol Adulyadej. 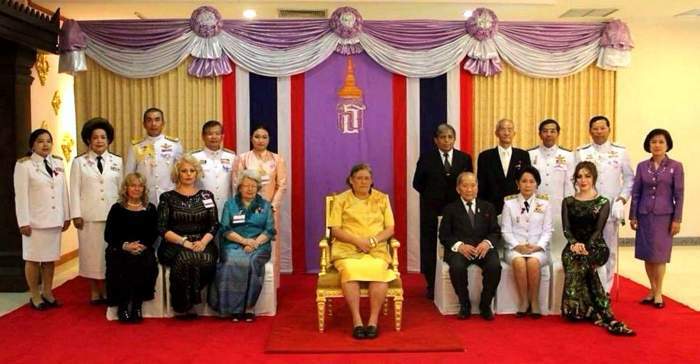 Paula (seated, far left) with HRH Princess Maha Chakri Sirindhorn, second in line to the Thai throne, March 2015. 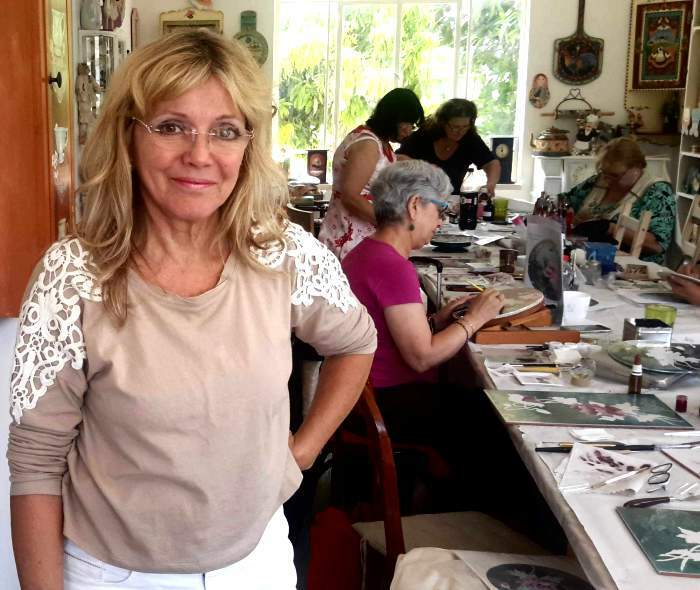 Paula with Anat in her studio in Israel. Paula with a Catholic Priest in Nazareth. Shopping in the Old City!